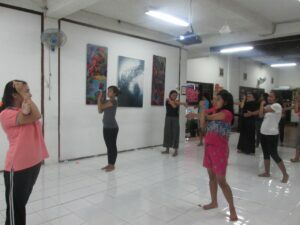 Bali WISE’s Night Classes and Evening Activities, Week 5, Intake 35, 6.30-8.30pm, each evening. On Tuesday evening, 13th February 2018, they had their English night class with Mr. Mike. They studied English by learning to sing English songs. “With My Own Two Hands” and “How Far I’ll Go” were the two songs studied. The students were really excited with this method. They practiced singing the songs and were taught the meaning of the words, the sentences and the songs itself. The Wednesday evening, 14th February 2018, they had their Performing Arts class with Ms. Syifa. They learnt how to dance. Before they started the dancing, they were taught to stretch and warm up. Dancing lessons were taught step by step. They practiced to dance very well, even though it was their first time to do the modern dance. 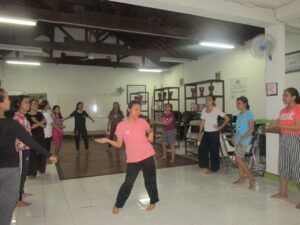 The students enjoyed the class and before they finished the class, we had a dance battle. 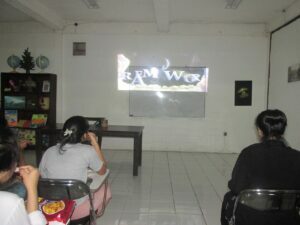 Then on Friday evening, 16th February 2018, the students studied English by watching an English movie. They watched Trolls Movie. They really enjoyed the movie and the movie taught them English in friendships. We are officially partnering with Sofitel Bali Nusa Dua Beach Resort! We are very excited to work with one of the most luxurious hotels in Bali and of course our students are thrilled to know that they have the chance to be trained at Sofitel after their three-months basic training. After the MOU signing, Intake 35 got the chance to look around the hotel area and its facilities. Some of our students had never even been in a 5 stars resort before and this was a very good opportunity for them to finally get a first impression. The visit at Sofitel had a deep impact on our students, starting from the smallest thing like teaching them to greet guests with a wide smile. Thank you Sofitel Bali Nusa Dua Beach Resort for supporting the Bali WISE program. Carolia Charity is here again! We are very excited everytime Carolia Charity visits us, since they traveled for at least one and a half hours just to get to Bali WISE. Today. Carolia Charity Coordinator, Mr. Bambang, has brought 9 students to join the tour at our campus and also for the recruitment test. Thank you so much Carolia Charity for always supporting us, not to mention they have been a great help during the Mount Agung situation. Last week, our Recruitment Officer, Ms. Carla and our Education Coordinator, Ms. Fena. went to Karangasem to find more women that need help with their next level education. Our team has met several schools and charites around the area. For this recruiting session, our team visited SMKN 1 Amlapura, SMA Pariwisata Kertha Wisata, SMKN 1 Manggis and Yayasan Widya Asih Amlapura to spread some information about what we do and how Bali WISE can help them. 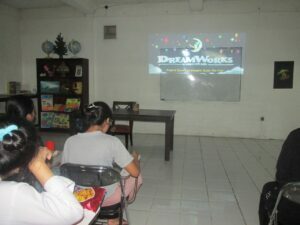 After the socialization, our team went to SMAN 3 Amlapura and Carolia Charity Karangasem to do the selection test. Our alumni from Intake 33 just had their graduation ceremony at Ayana Resort and Spa. Ayana Resort and Spa has been a huge help for our students. Not to mention that every semester they always accept more than three students. The graduation ceremony was filled with joy and certificates were handed over from Ayana Resort and Spa GM himself, Mr. Clive Edwards. Before the handing over of the certificates, Mr. Clive said a few words for our graduates to encourage them on their future endeavor. Our Media Manager, Mr. Rama, also said his thanks to Ayana Resort and Spa on behalf of all the staff and students from Bali WISE. Once again, we would like to express our biggest gratitude to Ayana Resort and Spa for dedicating their time and energy to lead our students in the right direction.